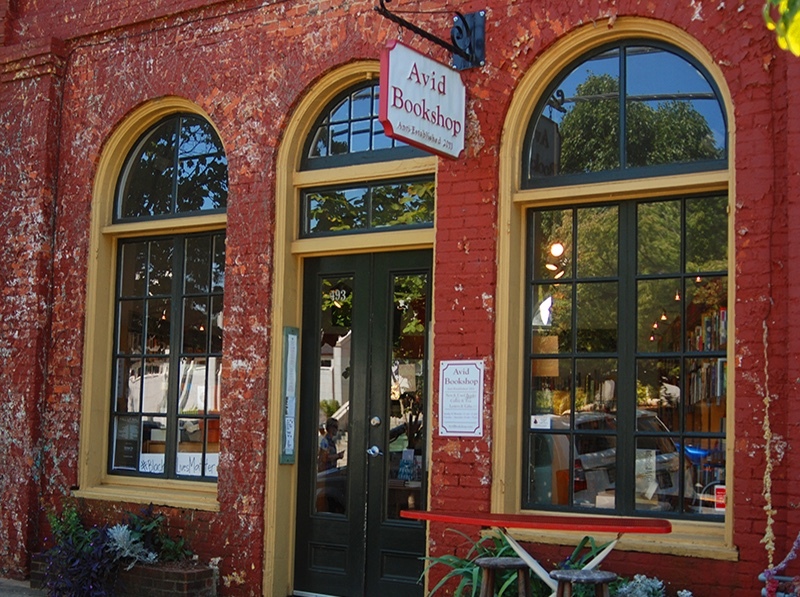 Avid Bookshop is a fiercely independent, community-focused bookselling business with two shops in Athens, Georgia. In fall 2018, Avid Bookshop was chosen as the Athens Area Chamber of Commerce Small Business of the Year. Founded by Janet Geddis, Avid has been named by Flagpole readers as Athens' Favorite Local Business for six years in a row! As the country has become more fraught, Avid booksellers have become more outspoken about standing up for human rights, equality, and the freedom to read. We are a safe space and are proud to serve those here in Athens, Georgia and our website customers nationwide. Avid Bookshop has been on the Bulldog 100 list three years in a row—this distinction indicates that Avid is one of the fastest-growing businesses owned/run by a University of Georgia alumna/alumnus. While we focus on supporting the local community both culturally and economically, Avid is also very active in regional and nationwide organizations such as the American Booksellers Association, the Independent Booksellers Consortium, and the Southern Independent Booksellers Alliance. Support your neighborhood bookstore, no matter where you are. Avid Bookshop has over 2 million books in stock, and we can ship everywhere in the nation. Browse our bestseller lists or our staff picks to find your next great read! The Avid Book Subscriptions Program is one of the most wonderful services Avid provides. Each month, the program manager (bookseller and author Will Walton) hand-selects a separate title for each subscriber, each one tailored to suit his, her, or their individual tastes. Gift cards can be used in-store and online, so it's a perfect gift for any reader, anywhere. Avid Bookshop loves to work with educators, librarians and teachers! What’s even more rad is that the dollars you spend at Avid end up getting put back into the community (and your schools)! Avid Bookshop can facilitate author and illustrator visits, orders of books and organize book fairs. We love to help local schools foster the love of reading for students of all ages! Join the fun! JOIN A BOOK CLUB! Janet Geddis weighs in on "What It Takes to Open a Bookstore", an article published by the New York Times.